One of my favorite options for quick weeknight dinners is some form of mixed vegetable rice and a good raita. At least once a week I end up making some kind of mixed rice and raita. 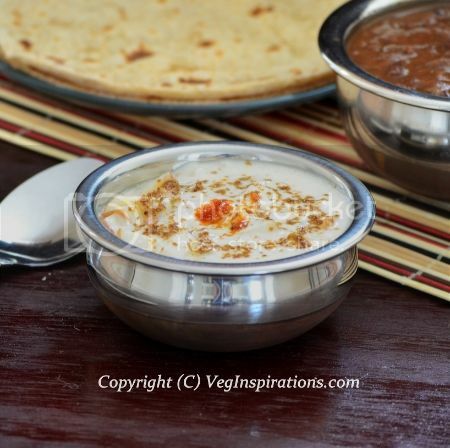 If you are unfamiliar with Indian cuisine, Raita is a form of salad made with a variety of vegetables or fruits mixed with yogurt. It is the north Indian cousin to the south Indian pachadi, which is somewhat similar but has different seasoning and a subtly different flavor. It tastes yum when paired with mixed vegetable rice, especially the spicy variety. Check this link for some of the other raitas that I have posted in this space. Before I go, here is the picture of yet another sunburst mirror that I made recently. After each project I tell myself I am done, and am not going to be making any more mirrors, but I just love sunburst mirrors so much that I get tempted to make just one more from time to time:) This one was so quick and easy to make, once I got all the stuff I needed for it, it just took a few hours to make. 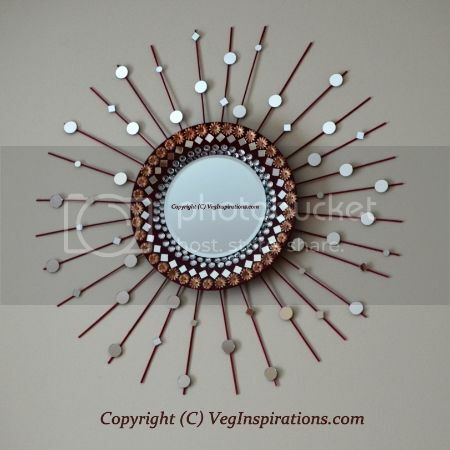 If you would like to check out more detail on how I made this mirror, check out this post on bead creationz. In a small pan, dry roast cumin seeds on low to medium low heat until it emits an aroma. Remove and powder using a spice grinder or a mortar and pestle until fine or slightly coarse. Whisk plain yogurt until smooth. Add all the spices and sugar to it and mix well. 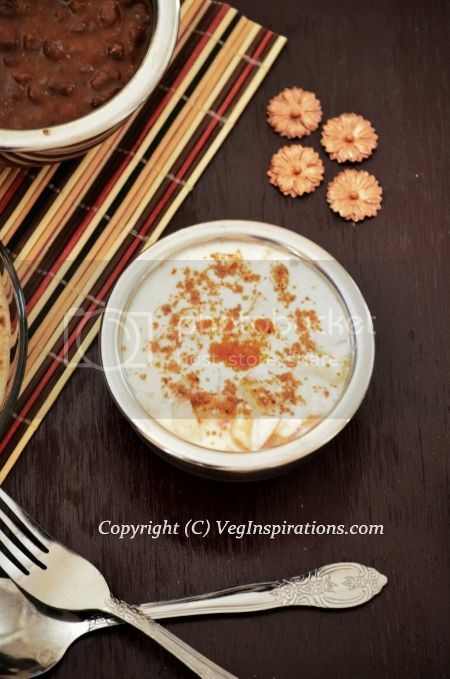 Add apple pieces to it, chill and serve with some pulao or mixed vegetable rice.